I am improving our Hunting Fitness page. A 4 1/2 minute video was just uploaded to quickly show how to do some hill drills that are designed specifically to improve "endurance strength". Long treks in elk country for days at a time can be quite demanding on your body. Then, if you are able to harvest some big game, you have the arduous task of getting the meat to your vehicle. Most likely you'll already be tired. That's when "endurance strength" is needed. Pre-hunt conditioning with some specific drills and exercises will develop the strength in the areas of your body that will need it most, to keep you moving when you're fatigued (endurance strength). I do all of the exercises on the hunting fitness page regularly, and then some. 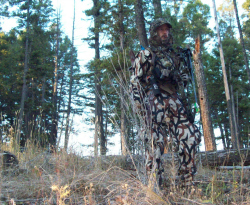 The "hill drills" on the video are one set of repeated motions on a slight hill that will help you start to take it to the next level, as an athlete hunter. More videos of specific drills will be added this spring. You can go directly to the new video on the fitness page by cicking here: Hill Drills Video. They will provide some very tailored repetitive movements that will stress your body in very specific ways that will demand endurance strength development in a short time. That way you will get in the mountains with enduring strength in your lower body, lungs and heart to move around for days at a time without having to go to the mountains to do the training. 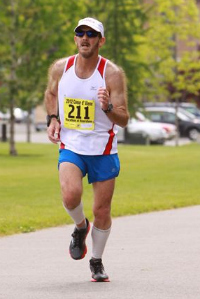 I've been a competitive endurance athlete for over 45 years. I've studied how to prepare for endurance events to get the most out of my body. Most of my training has centered around the programs developed by Owen Anderson, PhD, who is a renowned exercise physiologist and coach for endurance athletes. I'll share some more with you on the hunting fitness page in the weeks to come. For now, start with the commonly known exercises on that page and move on to the Hill Drills, if you want to move up to the athlete hunter level. 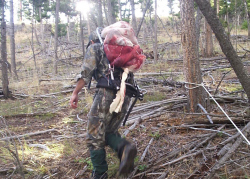 Let's face it, elk hunting is an athletic endurance/strength event. We might as well train for it, since we'll be putting so much effort and expense into it. Don't waste it! Be prepared with the hunting fitness "strength endurance" to really enjoy it.